Challenge – Create not only a more modern logo but to also completely redesign the company’s outdated website. 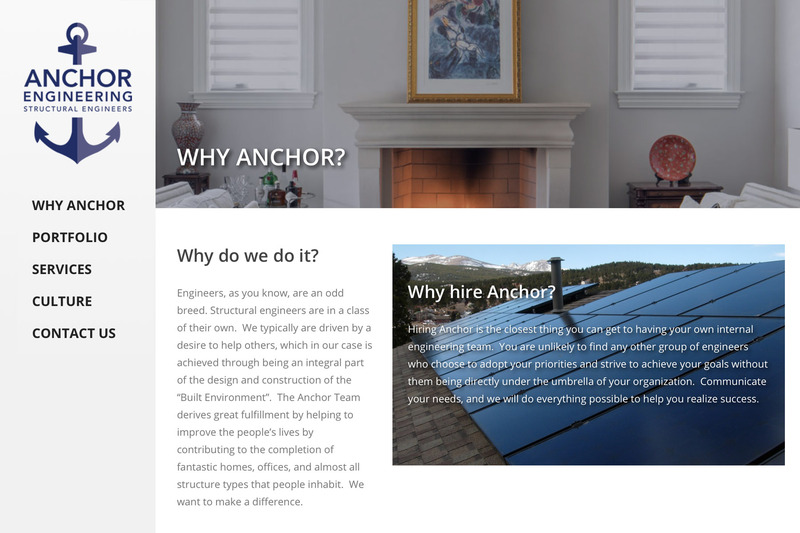 Result – While Anchor Engineering has worked on projects across the country, the goal was to create a website and design that spoke to not only engineers but to everyone across the industry. 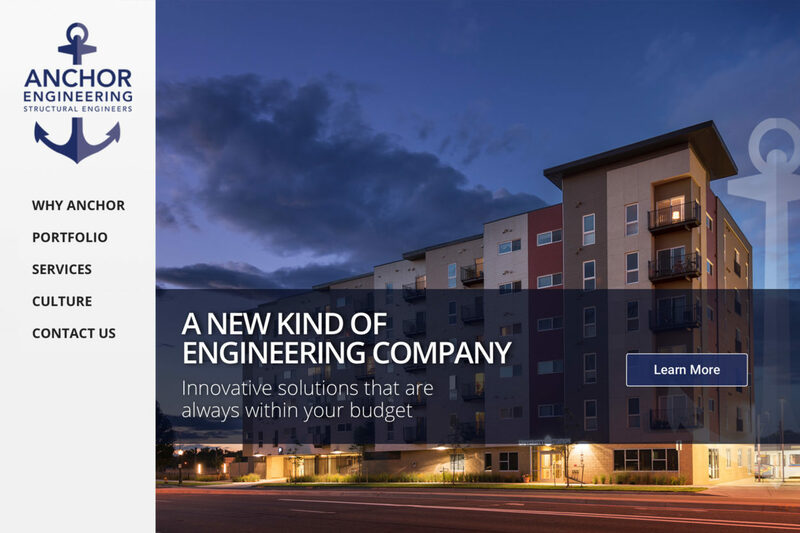 Adding an extra touch of color to their logo and interviewing the company representatives and executives, we were able to come up with a brand new website that not only demonstrated abilities and skills but also proved Anchor to be a fun place to work.